Description: Simple grape and vine design on inside of the plate done in brown on a whitish biege background. Rim has a 1 cm wide brown line. 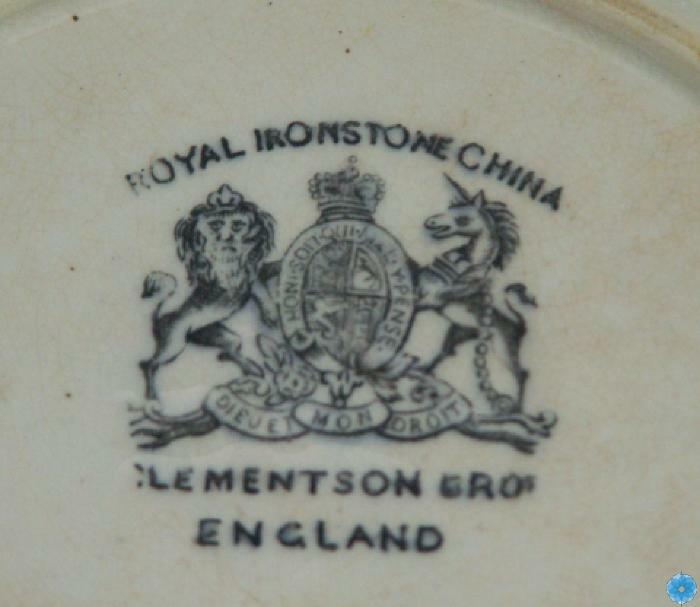 Marked on back "Royal Ironstone China Clementson Group England"